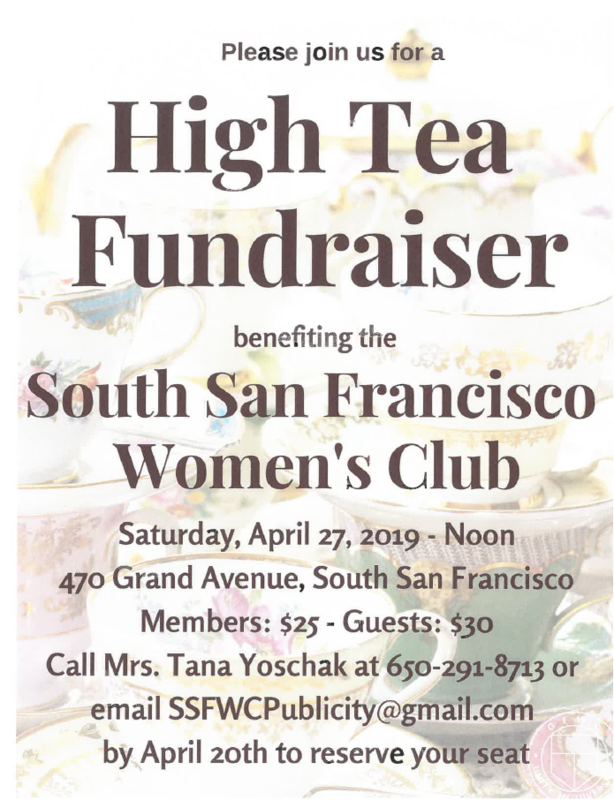 The South San Francisco Women’s Club is hosting a High Tea Fundraiser on Saturday, April 27, 12 noon, 470 Grand Ave. Tickets: $25 for members; $30 for guests. 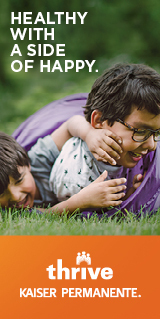 For tickets and more information, please contact Mrs. Tana Yoschak at SSFWCPublicity@gmail.com / 650.291.8713 by April 20th. 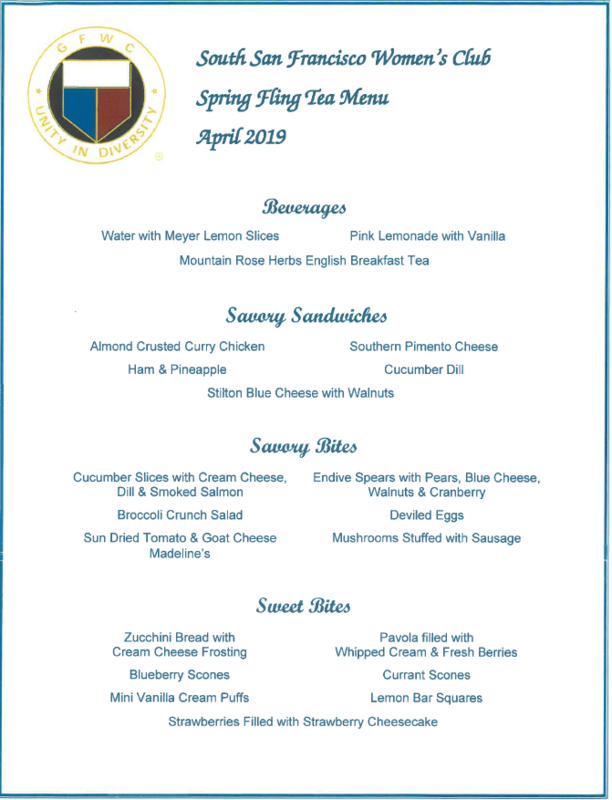 Check out the savory-and-sweet menu! YUM!